The SleepTracker Elite, recommended by Dr. Phil, is the world's best-selling sleep monitor. The SleepTracker Elite, recommended by Dr. Phil, is the world's best-selling sleep monitor. You can use this monitor to improving your sleeping habits and you'll enjoy night after night of quality, uninterrupted sleep — resting more comfortably, and waking up each morning refreshed, energized, and alert. This device uses SmartStart technology to measure your sleeping patterns within 95% accuracy of the professional-grade monitors used in sleep clinics. Rather than using motion detection to wake you up whenever you toss or turn, the SleepTracker Elite monitors your sleep stages and wakes you at your True Optimum Time, so you'll feel completely refreshed and recharged. Most people go through an average of four or five cycles, alternating between heavy, or REM sleep, and light, or almost-awake moments. Broken sleep will impact your mood and productivity for the next 24 hours. SleepTracker helps you wake up during a light sleep cycle, so you’ll be much more alert, refreshed, and happy. Before going to bed, you’ll set the time and set your alarm. 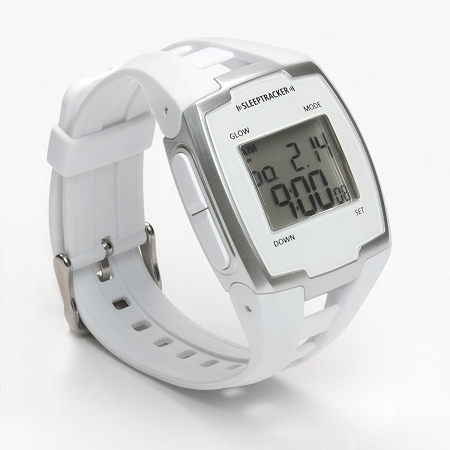 If you need to wake up by 7:15 AM, for example, the SleepTracker will wake you at the lightest sleep stage prior to that time. The SleepTracker Elite includes a free SleepTracker Analytics account. When you upload your nightly personal data to your account, you'll receive an in-depth analysis on how you slept, including a nightly overall sleep score, and discover ways to improve your sleep habits so you're resting easier—and better—than ever. 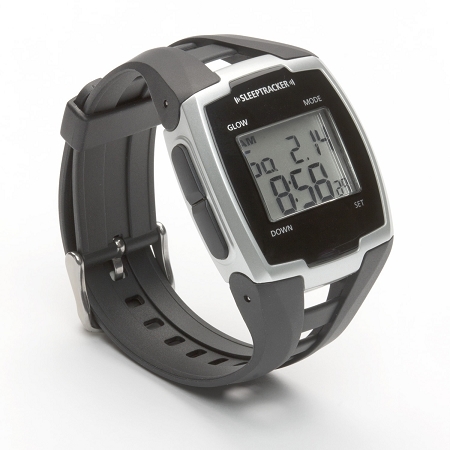 With four simple, easy-to-read buttons, the SleepTracker Elite Pro is easy to use and program. You can set the alarm to wake you at the best time, record your sleep data, display the time/day/date, and read your SleepTracker monitor in the dark.